Did you miss – Live at Victoria Falls Zambia? If so, you can catch up on the ITV Hub where it appeared. Be sure to catch everything else Zambia has to offer on both Good Morning Britain, Lorraine and Loose Women. ITV showcases the incredible game viewing, boat cruises and water activities you can experience in Zambia. Don’t miss this incredible premier safari destination and start planning your Zambian visit! To find out more about Zambia, click here. Also have a look below at some of the exciting activities you can do in Zambia. Visit the Victoria Falls, locally known as ‘Mosi-Oa-Tunya’ the smoke that thunders. The Falls is a majestic height of 108 metres (354 ft) with a combined width of 1,708 metres (5,604 ft) – resulting in the world’s largest sheet of falling water. Experience the Lower Zambezi National Park in Southern Zambia. The Zambezi River valley is known for abundant wildlife, including buffalo, fish eagles and herds of elephants. Experience the Devil’s Pool. This is the world’s ultimate infinity pool on the top edge of the Victoria Falls, offering dramatic views. Rhino walks. Enjoy rhinos in their natural habitat. Meet one of Africa’s “Big Five” – the rare rhinoceros on a wilderness walk through the Mosi-oa-Tunya National Park just upstream from the Victoria Falls. Lion Encounter is an active conservation programthat is passionate about ensuring a secure future for the African lion, offering you the chance to walk with this magnificent species. 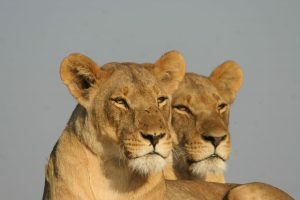 Be part of an active project dedicated to save the African Lion. South Luangwa National Park isin the valley of the Luangwa River – a world-renowned wildlife haven. Concentrations of game along the meandering Luangwa River and its lagoons are amongst the most intense in Africa. VisitTribal Textiles, where the locals produce unique hand-painted textilesin the heart of the African Bush. They create exquisite textiles whilst working in harmony with nature and benefiting the local community. Kafue National Park is the largest national park in Zambia and also the second largest park in Africa – covering an area of about 22,400 km² (similar in size to Wales or Massachusetts). It is home to over 55 different species of mammals. Mukuni Village Experience. Mukuni Village is a Royal village which was founded around the 13th Century and is home to about 7,000 Leya people. Visitors are welcome into this village to get a glimpse of how its people have lived for generations and to learn a little more about their traditional customs and beliefs. This is a working village, not a purpose built tourist attraction, and it is a privilege to be welcomed into their lifestyle. Enjoy the Kapishya Hot Springs – naturally sulphur free geothermal springs, located in the North Luangwa National Park. Crystal clear water reaches the surface from thermal vents 7km below, giving the spring a perfect temperature of around 40 degrees Celsius.